Last week I went to the Tuscan hill town of Montepulciano to try the latest release of Vino Nobile, the town’s famous red wine. There were around forty wineries at the event and most had brought several wines including whites. 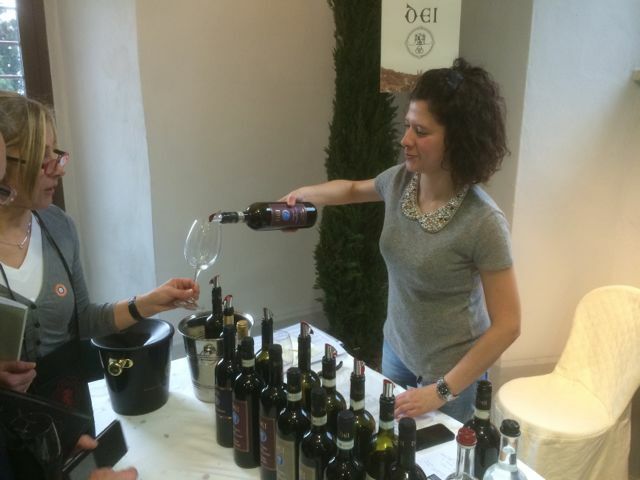 The abundance of alcoholic beverages of offer requires a strategy if you are to come away with anything but hazy memories of the day, ours was to choose a few wineries and to concentrate on their new release Vino Nobile and a more aged Riserva. By the end of the day our list of wineries grew longer as we happily accepted recommendations from other tasters. 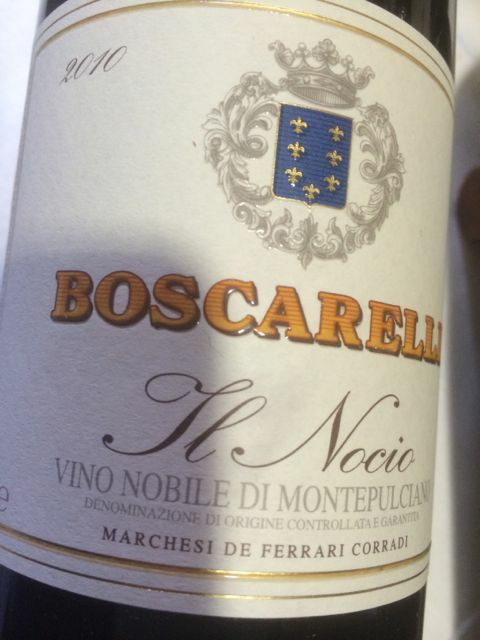 Vino Nobile di Montepulciano DOCG is at least 70% Sangiovese grape and many of the wines we tried were 100% Sangiovese. A traditional blend uses other local grape varieties such as Cannaiolo Nero and Mammolo but international varieties such as Merlot are also permitted. 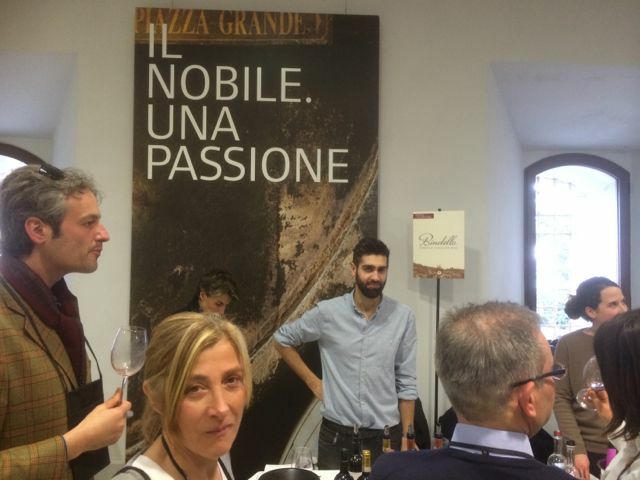 There definitely seemed to be a trend towards the traditional blends which helps Vino Nobile maintain a distinct identity from the many red wines on offer around the world. We tried some great wines and I will definitely look out for many of them. Wines that I tried, liked (and can remember) were from the following wineries: Avignonesi, Boscarelli, Croce di Febo, Dei, Icario, Il Conventino, La Braccesca, Lunadoro, Poliziano, Salcheto and Tiberini. I’m sure there were others so I apologize to wineries that got left out.